Memorial University archaeology student Alicia Morry started her day at Ferryland on Aug. 6 much like any other, carefully excavating and sifting through centuries of history in an effort to uncover traces of the early settlers who lived here starting in 1621. This day, however, was a little different. 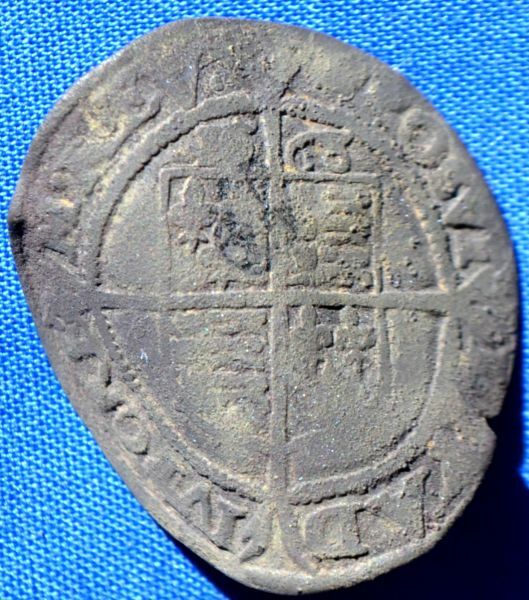 While uncovering pieces of ceramic, clay tobacco pipes, glass and other broken objects discarded by Ferryland’s seventeenth-century residents, she also found a beautifully preserved Elizabethan silver sixpence dating 1565. “This is the second silver coin recovered at Ferryland this summer and just one of many fascinating artifacts which tell the story of English settlers on this part of the Avalon Peninsula” says Dr. Barry Gaulton, the Memorial University archaeologist who directs the excavation. “Our field crew is uncovering several hundred years of human occupation from early visitations by the Beothuk and European migratory fishermen in the sixteenth century, to the more substantial remains built during the time of Sir George Calvert and later Sir David Kirke and family in the seventeenth century.” It was in the latter deposits where Ms. Morry found the silver coin. The sixpence piece was minted 56 years before the founding of the Ferryland colony and the extensive wear on the obverse side suggests that it was in active circulation for many decades. On another part of the site, excavators have been peeling back the soil from a deposit associated with a member of the Kirke family, possibly Phillip or David (II) Kirke. “The artifacts in this layer tell us all sorts of interesting things about the daily lives of those who deposited them. Based on the number of fancy ceramics produced in Italy, Portugal and Northwest Europe, these people were fairly well off and had the connections and money to afford some of the finer things in life” says Gaulton. 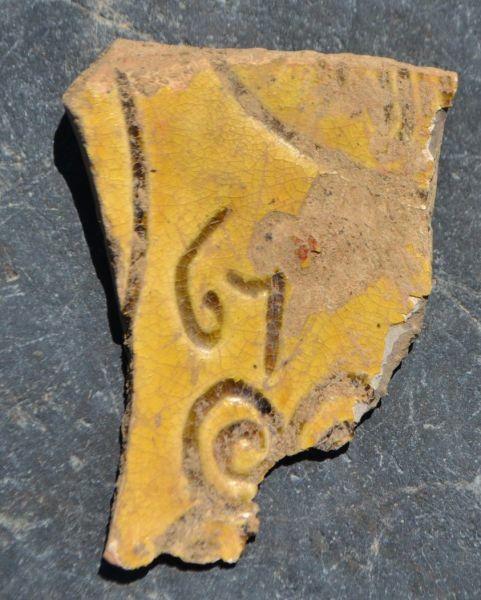 Among this year’s finds is a fragment from a decorated plate made in North Devon, England and marked with a date of (16)67. These kinds of commemorative, dated ceramics were given as gifts to celebrate important life events such as a marriage or birth. “I’d love to know what happened in 1667 but further research is required before we can determine the significance of this date to the former residents who discarded the plate.” Other informative finds from this deposit include a bone needle, beads and several tortoiseshell lancet covers. The lancets were used for medical practices such as bleeding.